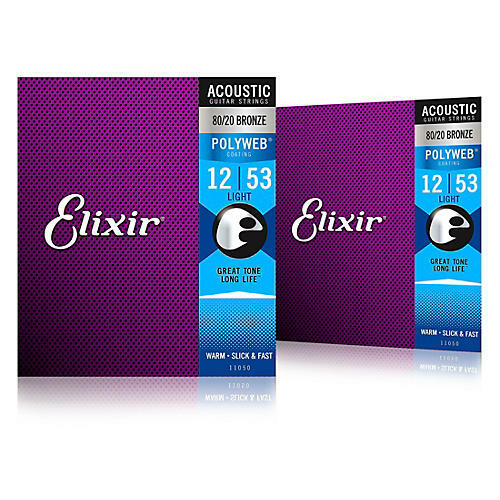 For a more traditionally textured, “uncoated” feel, try Elixir's ultra-thin NANOWEB Coating. The 80/20 Bronze Acoustic Guitar Strings with NANOWEB Coating, for example, might be a good fit, especially if you’re also looking for a crisper, brighter, and more vibrant tone. For strings that strike a dynamic balance between full-bodied tone and sparkling high-end clarity Phosphor Bronze Acoustic Guitar Strings deliver exactly that alongside NANOWEB Coating’s more traditional feel.